​Tiles are a very popular selection for kitchens and laundry rooms since they provide a waterproof surface and are very easy to clean. Tiles are also luxurious flooring that can be inexpensive and still look great. There are so many different options for tiles, you could spend days trying to find the perfect style and coloring for your floor. 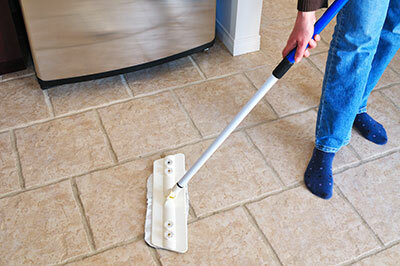 Most of the time, tiles will maintain good looks as long as they are cleaned simply with a mop. But unfortunately, over time your tiles may become discolored, and the grout between them may start to have dark spots that are an eye sore. Usually, a complete replacement of your tiles or grout would be one of the first things to come to mind. But finding the exact tile you have is not an easy task, and the costs can be too expensive to justify the full replacement. But the longer your tiles and grout are left dirty and discolored, the harder it becomes to clean them. If you have begun to spot discoloring and spots on your tile or grout, give Boerne Carpet Cleaning Pros a call. Our professional knowledge of tile and grout cleaning will help you get your floors back to the shine you once knew. The spots on your tiles could seem impossible to remove. However, this is not the case. Boerne Carpet Cleaning Pros offers an affordable and easy solution to your tile and grout problems. With our careful procedure, we can restore your tiles and grout to their original sparkle and shine. Most of the time, there is no need to spend your time trying to find a replacement that looks like your current tile. Instead, let Boerne Carpet Cleaning Pros take a look at your problem. Unlike other tile and grout cleaners, we know that just any solution can’t be thrown onto your tiles. Some cleaning options may only cause more harm for the future of your tiles. This is why we take great caution in deciding which solutions and products to use in cleaning your tiles and grout. We are also equipped to deal with dents and scratches that may open more over time. But don’t stop with just tile cleaning. If your grout has a pink hue, this means it has bacteria growing into it, which can cause health hazard. Unlike other companies that will explain to you that you need to replace your grout, we are also equipped with the means of eliminating the bacteria from your grout. We can save you the headache of having to wait for others to replace your grout in areas around your home that need to be used. 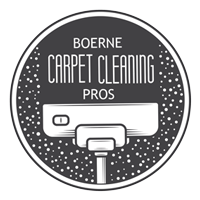 Boerne Carpet Cleaning Pros don’t just deal with carpet. We deal with a wide variety of different home cleaning services. We have professional knowledge in tile cleaning and we can assure you your home’s tile will look just like new when we’re finished with it. So please, give us a call. We would be more than happy to take a look at your tile and grout and provide you with the information you need about cleaning them to their original state.